Congratulations to our friends and clients at Westeck Windows for officially achieving Passive House certification on their wood casement window developed in partnership with Rangate! It was truly an enjoyable experience to work with a partner as focused and committed to the Passive House standard as Westeck is. Thank you to their entire team for being great to work with, and for your decision to take the lead in pushing the standards for performance. For us, this project is a great case study in how we continue to lead the market in Passive House and performance window and door projects. In our 10 years in business, we’ve distinguished ourselves by assisting our partners navigate the complex decisions required to build a Passiv House window. Rangate is the ONLY company with a demonstrated track record for achieving multiple Passive House certifications from start to finish, across multiple styles and joinery options. 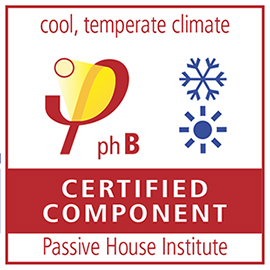 For producers working alone or with another company, the expected timeline from deciding to produce a Passive House window/door to final certification could be a year or longer. We’re proud to say we can help our clients navigate this complex project in a fraction of that time. It’s why we’re more than a supplier for window and door projects- we’re truly a partner. From pre-production thermal simulation and verification to choosing the appropriate hardware options, tooling, and style, we support our clients at each step but never force them into choosing a single vendor, style, or option- it’s what makes us unique in the world. 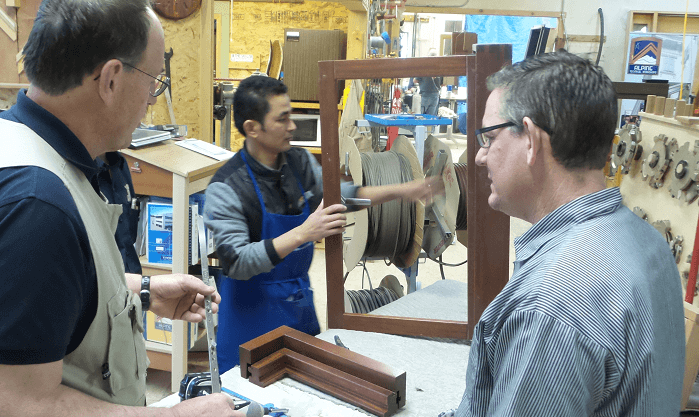 Thanks to our partnership with Alpine Technical Workshop, we can even take care of the joinery skills and processes needed for world-class windows. If you’d like to fast-track your journey to Passive, start a conversation with us at IWF booth 8100- we’d love to hear about your goals.